This is the start of my serios called “Mini MM” which stands for Mini Materia Medica. Materia Medica is a collection of remedies and in this case, herbal information. I love the way white pine sounds when the wind moves through the needles. It’s a soft gentle sound – soothing. I’ve lived near one of these trees most of my life. 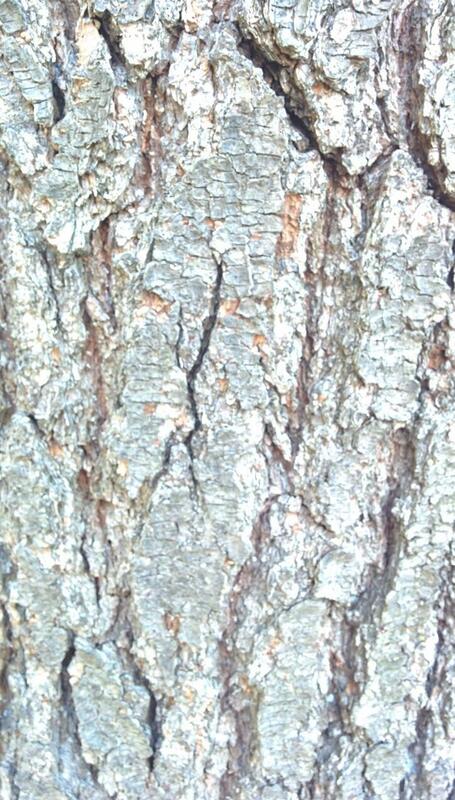 Even years into learning herbalism I was surprised to find out that white pine has therapeutic properties. I like to think of white pines as the gentle giants of the forest because they’re the largest conifer in the Upper Midwest and have a gentle quality both in sound, sight, and touch. 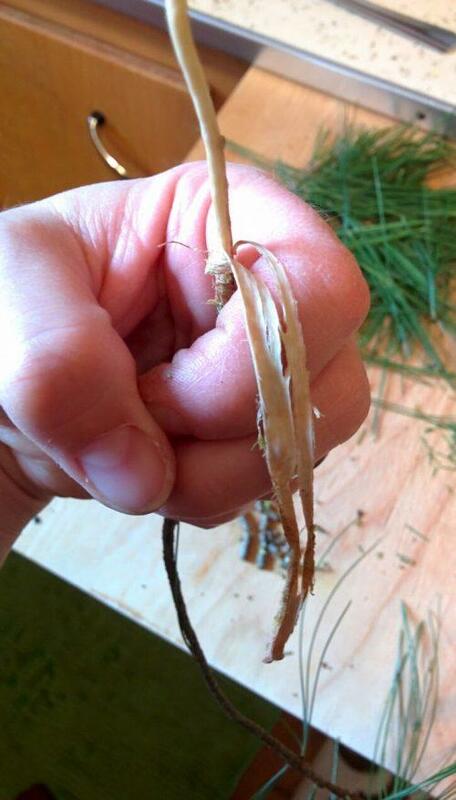 White pine is high in vitamin C. It’s reported that pine needle tea can revive severe scurvy in as little as 3 cups. When the sap oozes out of a wound it eventually becomes solid. 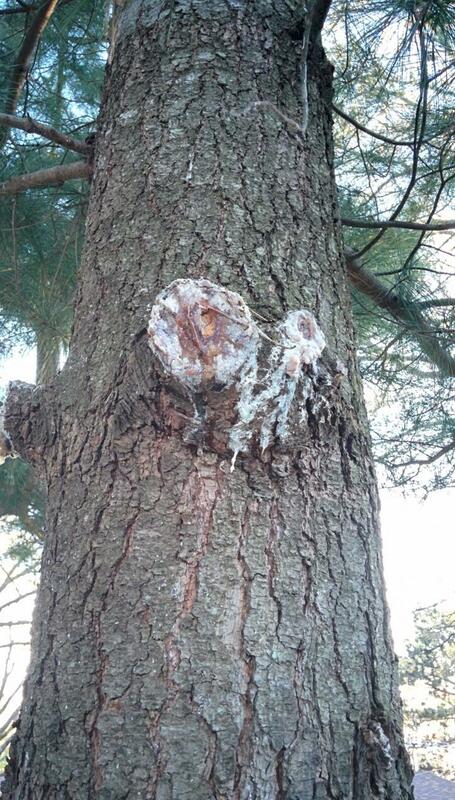 Many names are used to describe this substance: sap, resin, pitch. 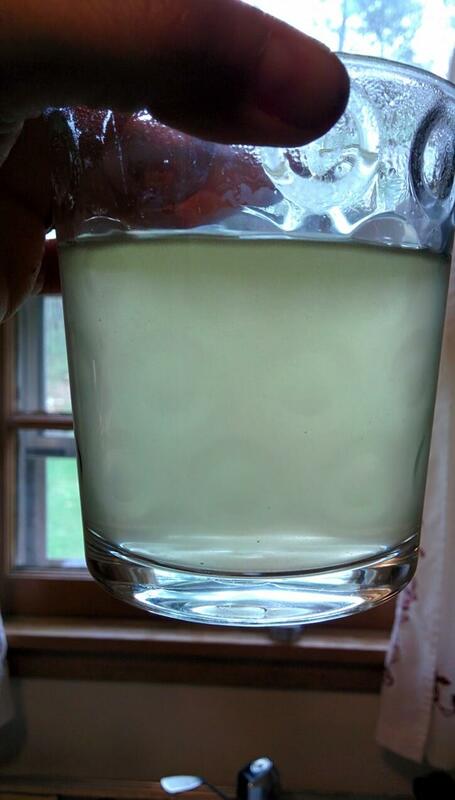 The resin is used to cover wounds for it’s anti-bacterial properties. Herbal Indications: arthritis, rheumatism, joint problems, sprains, colds, flus, scurvy, sore throats. 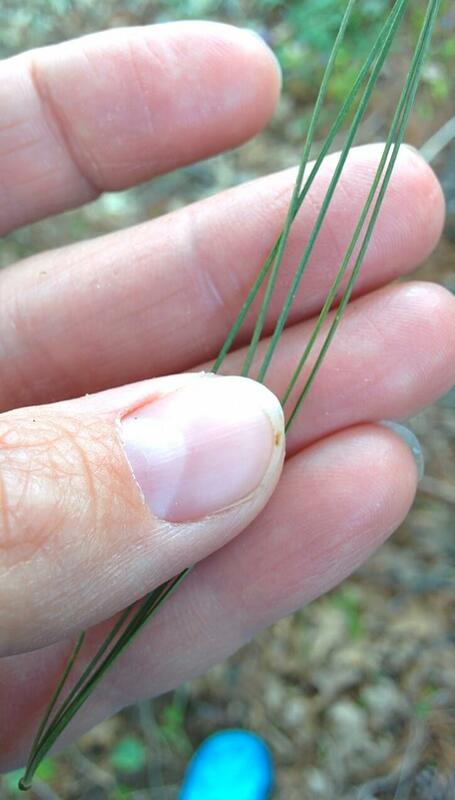 Excellent way to identify white pine – it has clusters of 5 needles. 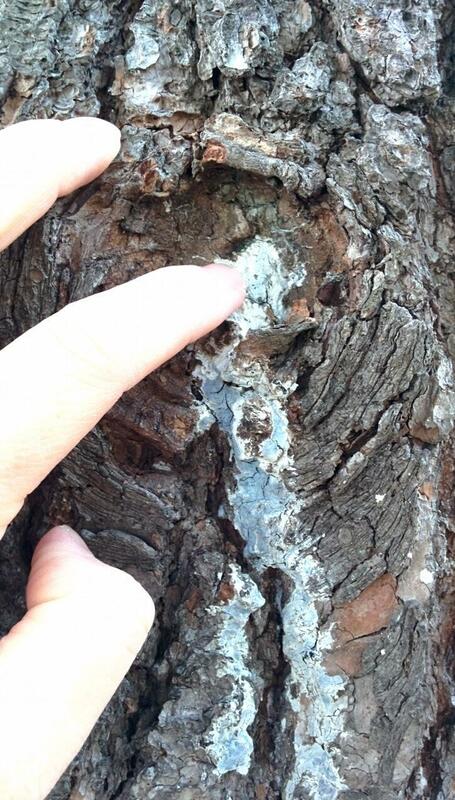 Freshly cut branch – the bark came off easily and the inner bark came off easy too. 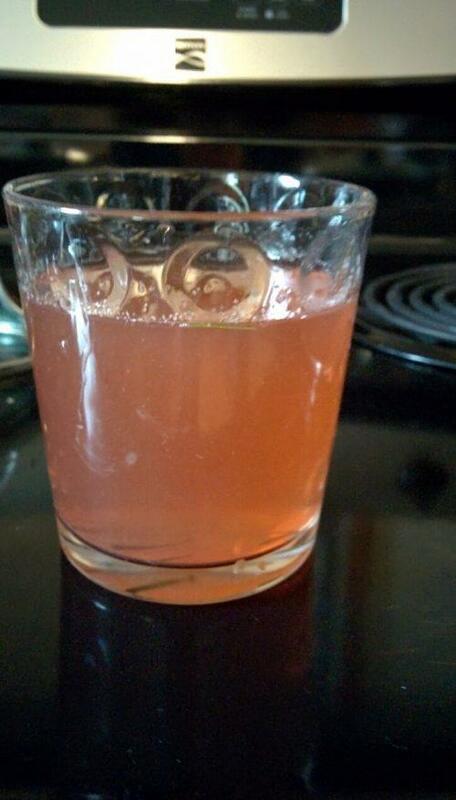 White pine bark tea is pinkish. I simmered the bark for about 15 minutes. Very mild flavor. 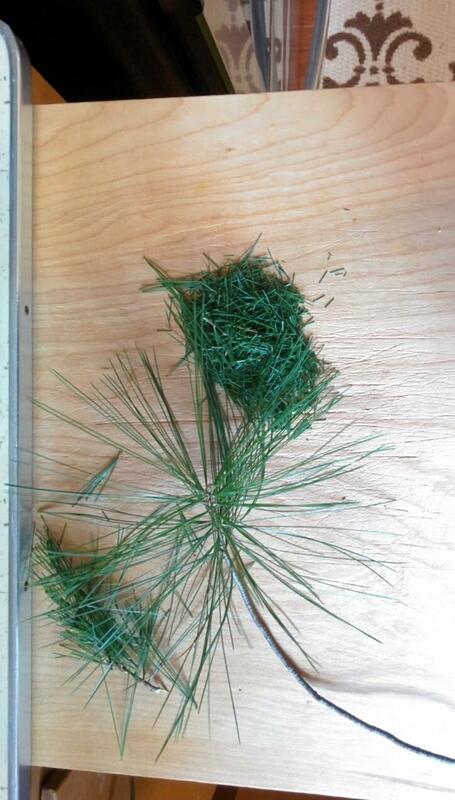 Chop the pine needles before adding to boiling water. 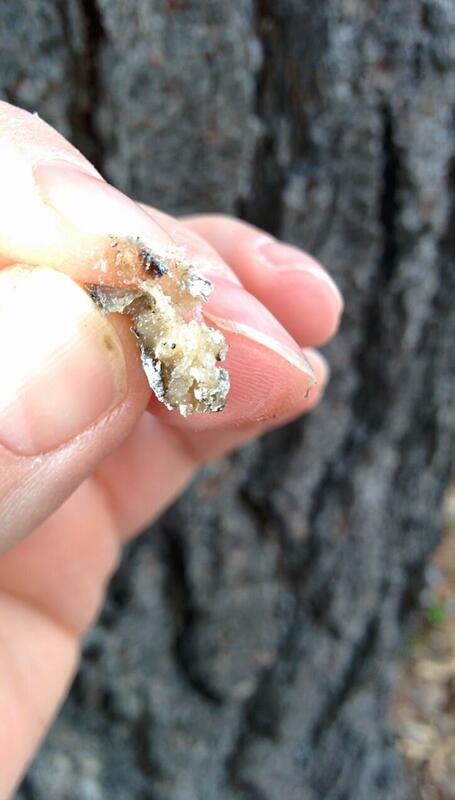 White pine sap, dried, coming out of an old wound. Lots of sap covering this wound. Power line company cut the trees about 2 years ago to have clearance with the wires. The Way of Herbs by Micheal Tierra. Rosalee de la Foret, HerbMentor, “A look at Pine”. “Arginine, Scurvy, and Cartier’s Tree of Life” by Don J. Durzan. Journal of Ethnobiology and Ethnomedicine, 2009. Alma R. Huchens. A Handbook of Native American Herbs. Shambhala, 1992.